Today's the day that your favorite office mate is having a birthday. What should you send? 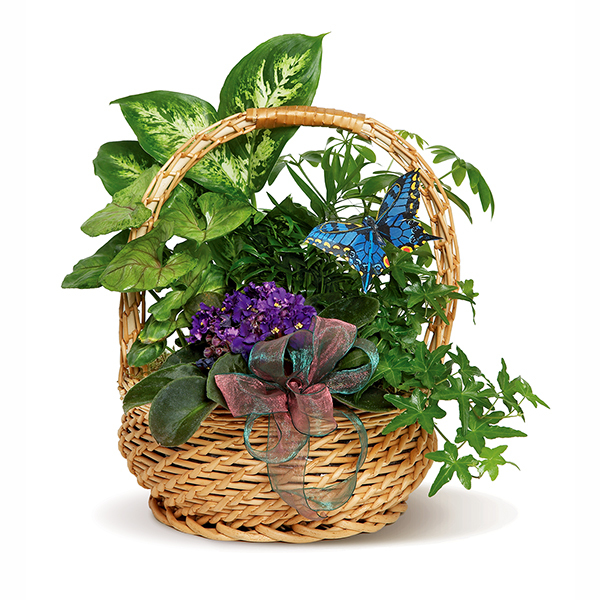 This verdant gift of assorted green and blooming plants in a woven basket is just perfect! A bright faux butterfly adds a whimsical touch.